Rooms - Hotel SPA near Warsaw- Żelechów Palace. 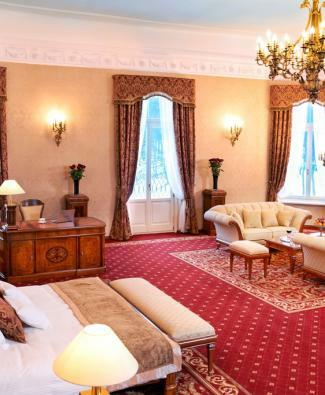 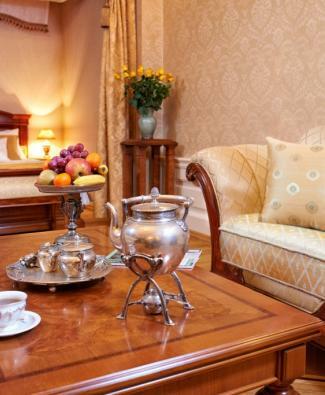 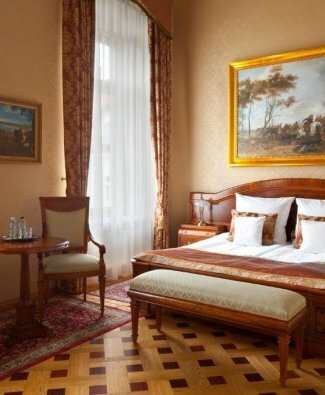 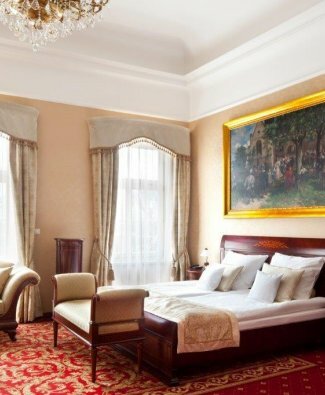 Żelechów Palace has 75 stylish rooms that can accommodate up to 150 people. The three buildings of the palace complex are the Palace, the Old Annexe and the New Annexe, where the rooms are arranged in different categories. 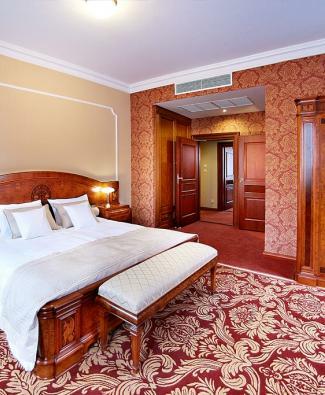 The facility has 55 double Deluxe rooms, as well as 2 single rooms and 2 triple rooms of the same class. They are located amongst the three buildings of the complex. 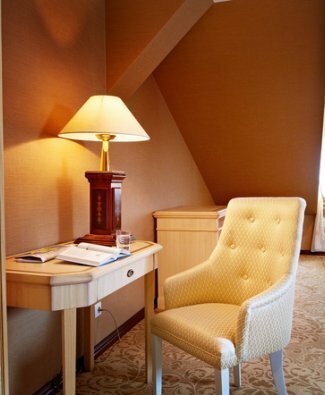 Amongst all the rooms, the Grand Deluxe rooms stand out thanks to their spacious interiors which are perfectly suited to families. 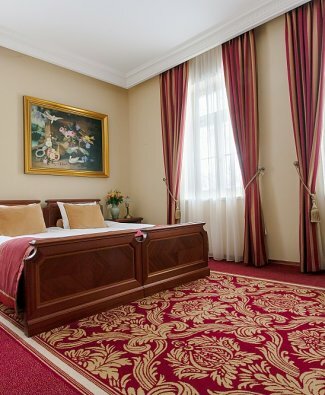 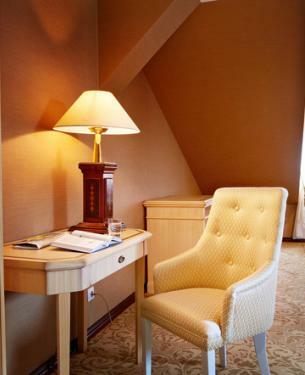 7 Grand Deluxe rooms are located in two of the buildings. 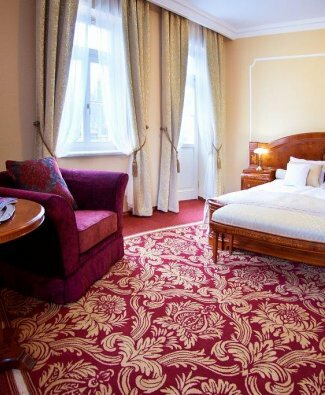 In the Palace itself, the three-room Suites, which are located on the ground floor, distinguish themselves by their style and character, as well as the Prince’s and Royal Suites. Each of them is unique and special. 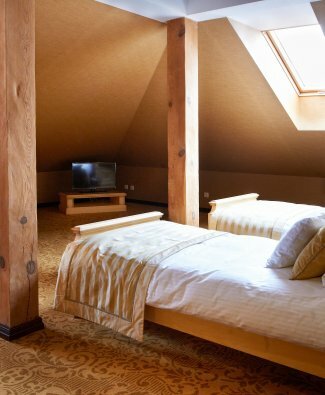 These two apartments are on the 1st floor of the building, and their additional advantage is their terraces which offer a beautiful view. 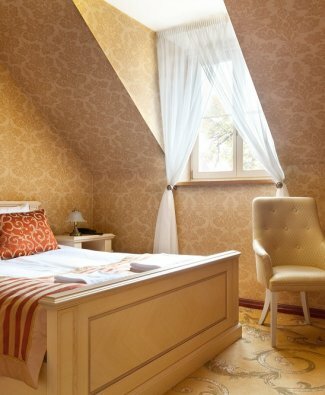 4 Deluxe suites, which are located in the New Annexe, are elegant and sophisticated two-bedroomed apartments. 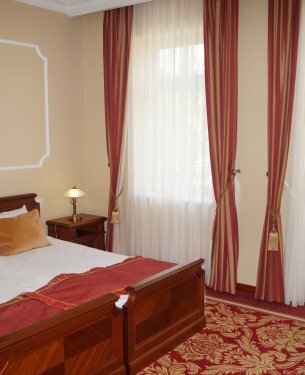 All rooms have stylish furniture, fully functional bathrooms with showers or bath, air conditioning and wireless Internet access. Each room is unique from the point of view of colour and decorative elements, has its own atmosphere and features not found in any other room. 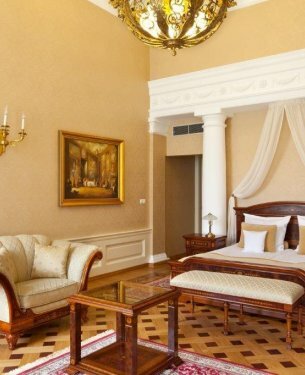 Each of them is a pearl of neoclassical style, reminiscent of the eighteenth century Palace roots.